Thani Oruvan has upped Jayam Ravi’s career to the next league. He is like the go-to man for directors who want a powerful star in their film. 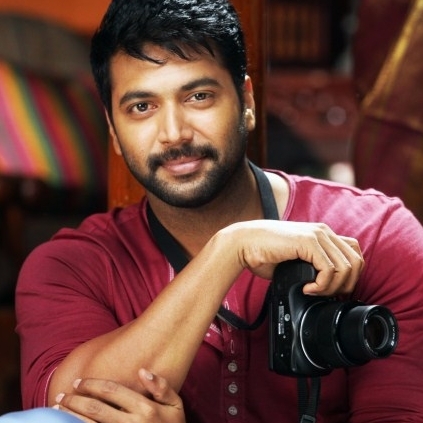 He is currently working in director Lakshman’s Bogan. Ravi has a long list of films. He has one with Suseenthiran, a film with Gautham Menon, Shakti Soundar Rajan, Vijay and Samuthirakani. It looks like the Jayam actor is going to have a busy 15 months ahead. Apparently his project with Samuthirakani has been titled as Thondan (Worker). Going by Samuthirakani’s track record, one could expect the film to deal with social subject. And Ravi might play the role of a social reformer like the one he portrayed in Samuthirakani’s Nimirnthu Nil. This film is likely to kick start by the month of November. An official announcement regarding the title is awaited. It must be noted that a 1995 Murali starrer also carries the same title. People looking for online information on Jayam Ravi, Samuthirakani will find this news story useful.